One of the main reasons why people find it hard to stick to healthy diet plans is because they struggle to find the time to cook meals from scratch. It is often easier to pick up a sandwich on your lunch break or throw a ready meal in the oven once you get in from work. However, this is no way to lose weight and maintain a healthy lifestyle. 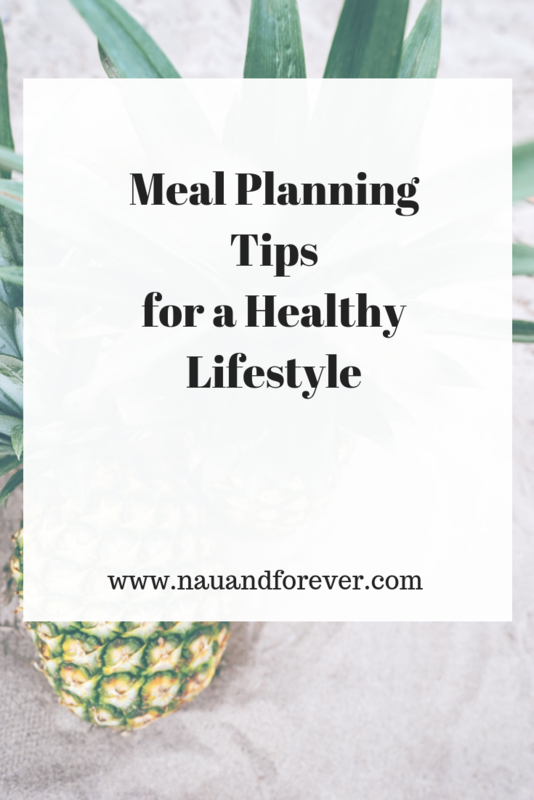 Therefore, keep on reading to discover some top meal planning tips that are assured to help you on your quest to eat healthier. First and foremost, you should spend your time looking for recipes and have an effective method of storing them. All you need to do is simply create a folder on your laptop, phone or tablet and you can start adding recipes whenever you spot ones that look tasty and are low in calories. You will find that there are a lot of websites offering healthy recipes that take under thirty minutes to make. It is definitely worth checking these out. It will be helpful when you need inspiration and are struggling to think of something to cook. Another option for those who want to lead a healthy lifestyle and plan meals with greater ease is to follow a specific diet. This is beneficial because it means that you will know exactly what to cook and when. This is helpful if you are a person that struggles for motivation. 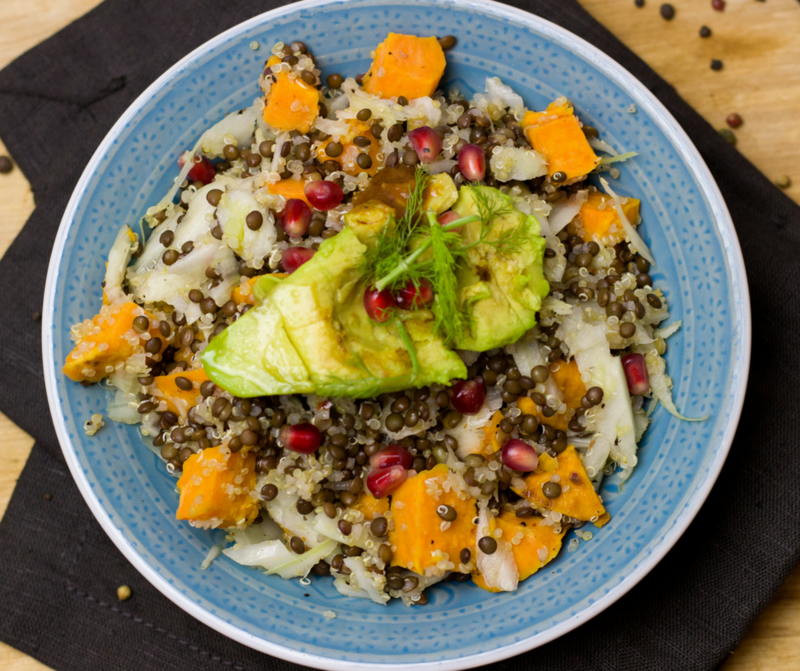 A good place to start is by looking at the diet put together by macrobiotic counselor and author – Denny Waxman. His approach to nutrition has not only helped people in terms of losing weight and being healthy but it has enabled people to benefit from things that medicine has not been able to give them, from fertility to heart health. It is certainly worth reading up on this for more information. In addition to this, you should also talk to the other people you live with when planning meals. There is nothing worse than cooking something healthy for yourself only to find out that your partner does not like the meal you have made, so they have a big plate of chips instead! Whether those who you live with want to eat healthily or not, they aren’t going to turn down food if they like it. It makes it a lot easier when everyone else is eating the same meals as you are. Plus, if you can all chip in with the meal prep together, it will make life a lot easier. Why not set up a rota? It always makes life much, much easier if everyone is on the same page. It is also advisable to plan ahead. Grab yourself a calendar or use an online version and start planning what you are going to eat for the week. Not only will this make your life a lot easier, but you will be more economical as well and so you will probably find that you save some money on food shopping bills. If you are only cooking for yourself or one other person you should consider cooking large quantities and freezing them. More often than not, the leftover food will just go to waste anyway. Plus, if you freeze some meals it makes your life easier on those days whereby you simply do not have any time. All you have to do is defrost the food and heat it up – as simple as that! Last but not least, the final thing you should do is make sure you have all of the essentials. This includes everything from olive oil to spices, such as chili powder, cumin, turmeric, curry powder, and more. Spices offer an easy way of seasoning your healthy food if you are struggling to decide what to cook. With these meal planning tips, you should find it a lot easier to stick to a healthy eating plan. Once you start building up your recipe file you will be wondering what you were ever stressing over in the first place! Want more tips on healthy living? Check out this post! Okay, so this isn’t a surprise to anybody, but ask yourself this. How many times a day do you brush your teeth? And when we say brushing your teeth, we mean doing it properly, and not some rush-job when you would rather be doing something else. You need to brush your teeth at least twice a day, but as a rule, you should also give your teeth a good clean after mealtimes when possible. And don’t forget to brush your teeth at night. 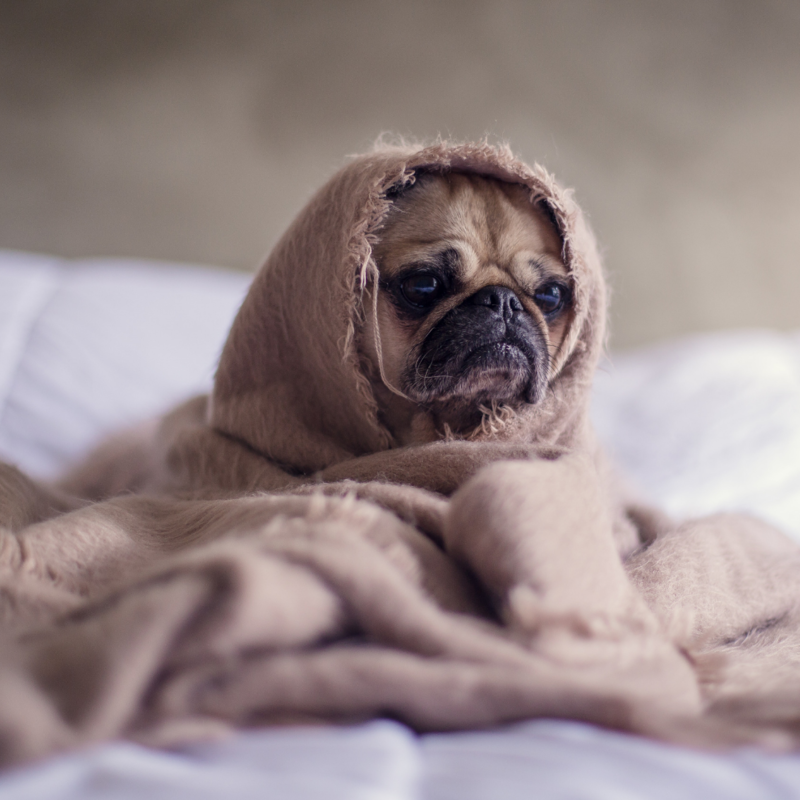 Sure, you’re tired, but with all the germs and plaque that has accumulated during the day, you are especially vulnerable to tooth decay and gum disease when you are getting your nightly kip. The bristles on your toothbrush become frayed over time, and so your brushing will lose its effectiveness. Experts suggest we should change our toothbrush every 3-4 months, so ensure you make a mental note of when you need to buy something new. Alternatively, sign up to a manual toothbrush subscription, and you will never be short of a new toothbrush again. Many of us neglect to floss, but we do so at our peril. Flossing is the best way to get rid of all those pieces of food that have become stuck between your teeth, and it also removes any plaque that has built up during the day. You know all this already, of course, as your dentist has probably lectured you on the subject. So, to avoid being told off again, pick up some dental flossers from your local pharmacy, or consider a water flosser if you’re resistant to the stringed alternative. You already know that water is good for you, but it is also the best beverage for your oral health. Particularly after eating, a glass of water is a useful way to wash away any residue and food acid from what you have been eating. This will give you a better smelling breath and will reduce the chances of tooth decay. So, carry a bottle around with you, and opt for good old-fashioned H20 instead of those drinks that will damage your teeth, such as tea, coffee, and sugary soda. Some foods are actively good for your teeth, so choose them over anything that could hinder your oral health, such as these unhealthy offerings. Foods that are rich in calcium and phosphorus will strengthen your tooth enamel, so opt for such foods as yogurt and cheese (for calcium), and red meat and eggs (for phosphorous). Crunchy foods can stimulate saliva and neutralize the bacteria that causes plaque, so add plenty of raw fruits and vegetables to your shopping basket. 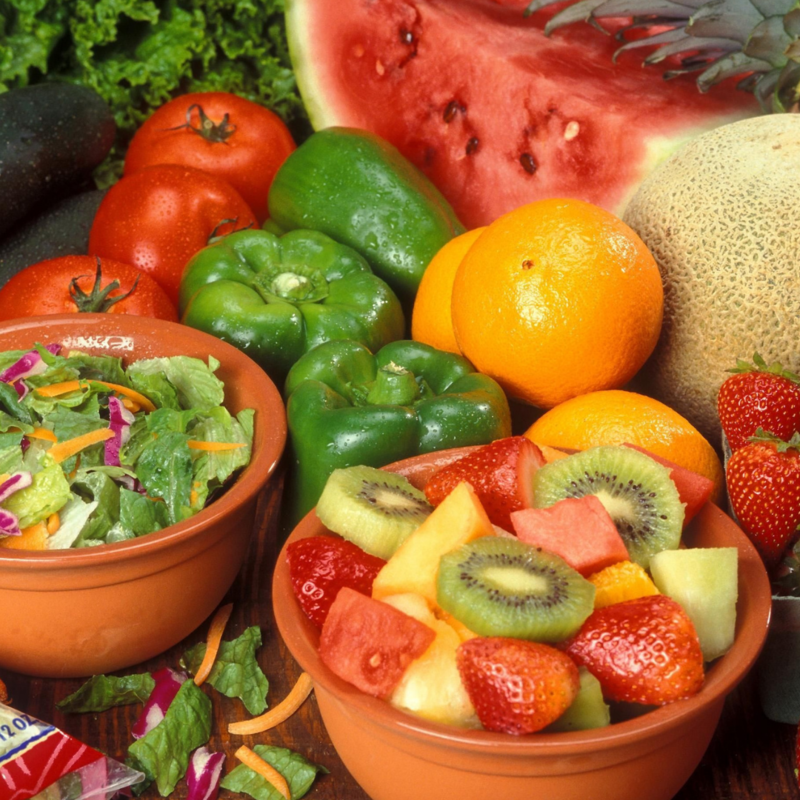 Foods rich in Vitamin C are good for gum protection, so consider such food items as oranges, strawberries, and kale. And for more information, consult this food guide for a detailed description of what you should be eating on a regular basis. If you have followed the rest of the advice in this article, you shouldn’t be afraid of booking your next appointment. Your visit should be less expensive, and you won’t have to listen to yet another lecture on what you should and shouldn’t be doing. Still, if there any prevailing issues with your teeth and gums, your dentist will be able to get on top of them at an early stage to prevent further damage. So, whether you fear your dentist or not, ensure you book at least two appointments a year, although contact him sooner if you suffer pain or notice any symptoms of tooth decay in the meantime. Don’t neglect the health of your teeth. You need them, not only for eating purposes but for your beautiful smile too, which will boost your self-confidence. 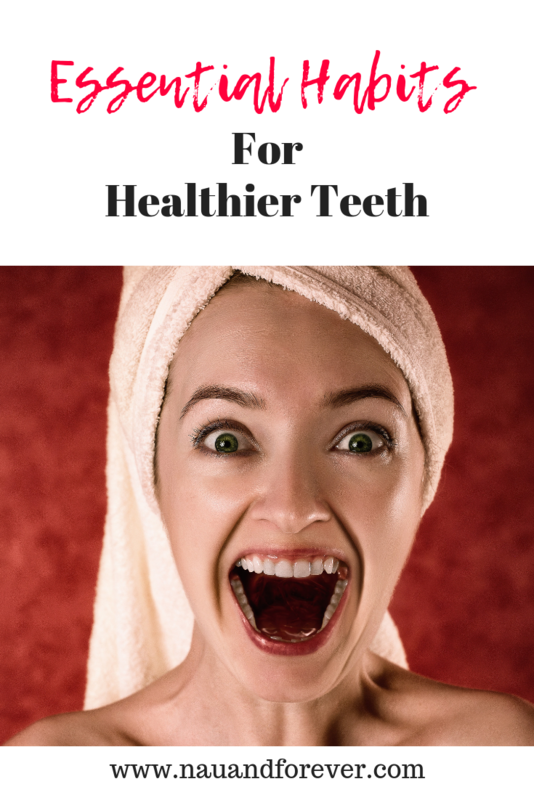 Implement these essential habits for healthier teeth. And cut out those bad habits that you know will ultimately harm your teeth. You will only suffer the painful consequences otherwise, in both your mouth and in your bank balance! When you’re getting or keeping fit, doing it outdoors can bring you a lot of pleasure. It’s great to enjoy everything the outdoors has to offer, from open spaces to fresh air, sunshine and beautiful views. If you prefer to work out outdoors, instead of at a gym, there are lots of things you can do. From running and cycling to hiking and canoeing, there are so many outdoor activities that help you keep fit and let you enjoy nature too. 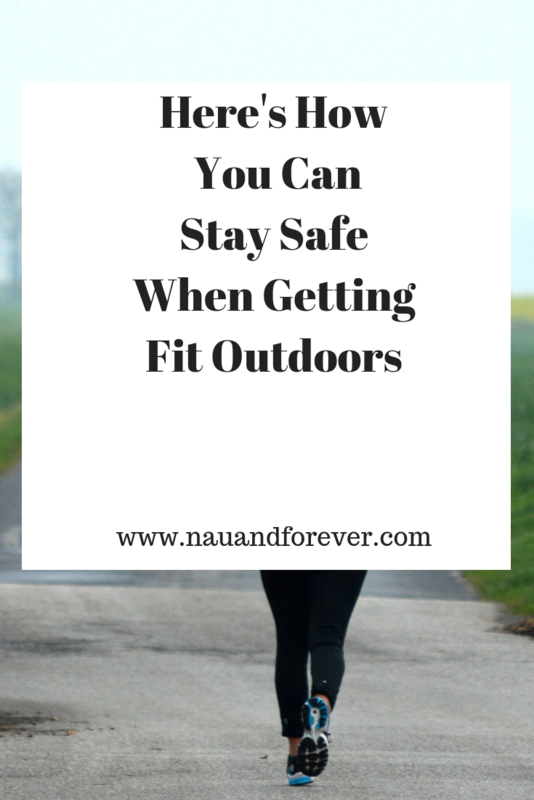 But if you’re going to get fit outdoors, you also need to be careful. There are several ways you could get hurt or end up in danger. Sometimes, you might go somewhere quiet and remote to get some exercise. However, you can often find yourself using roads or alongside them. Whether you’re cycling, walking or even riding a horse, you always need to be careful around roads and vehicles. As an injury attorney will tell you, traffic accidents don’t just involve vehicles. Pedestrians, cyclists and others can also get hurt in incidents on the road. It’s important to be safe when using roads or even when you’re alongside them on cycle paths and sidewalks. Be especially careful at night, and make sure you’re visible. A lot of women are wary of the idea of exercising outdoors at night, especially when on their own. But if you do decide that you want to go for an evening jog or cycle home from work in the winter, it’s important to keep yourself safe. Sometimes you might not plan to be out in the dark, but you can lose track of time or get delayed. 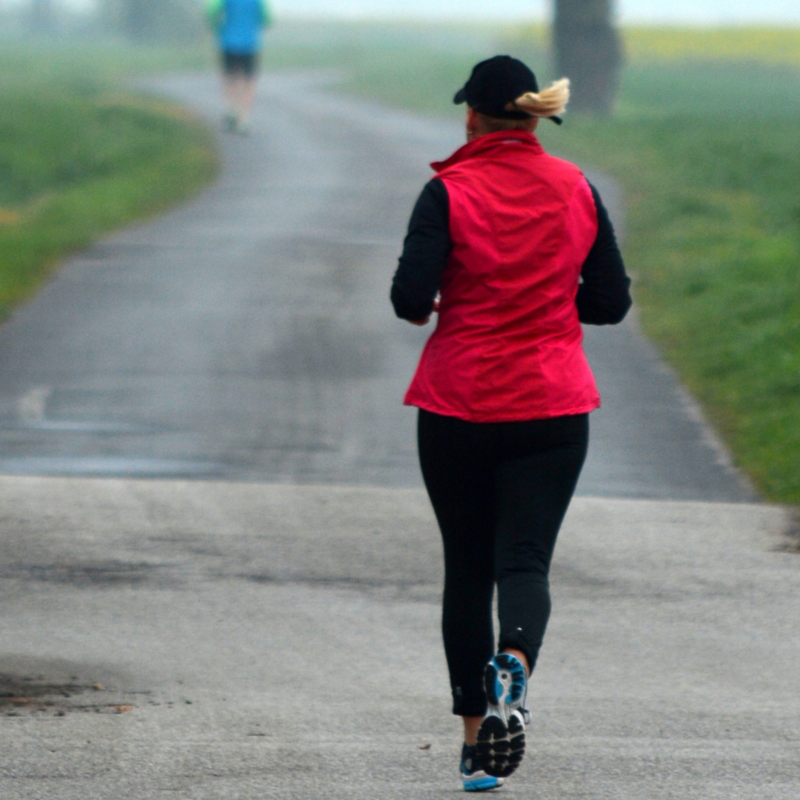 If you’re exercising outdoors at night, you need to be visible around roads in particular. It’s also a good idea to avoid using headphones and to have a light, such as a headlamp or a flashlight so that you can see and hear what’s around you. Have your phone with you too. If you’re going to go out into nature to get physically active, you need to be respectful of the environment. This starts with considering the ways that it could harm you and taking it seriously. For example, there are various plants and parasites that could hurt you. You should watch out for poisonous plants and for bugs like ticks, which can give you Lyme disease and other infections. It’s also important to prepare for the terrain and conditions. Sometimes, getting fit outdoors means being away from “civilization”. If you’re planning to go hiking or take a kayaking trip, you need to make sure you’re not completely out of touch with the rest of the world. Start by making sure you tell someone where you’re going, especially if you plan to go alone. It’s also a good idea to have some form of communication that you can use if you don’t have a phone signal. Getting fit outdoors can be a lot of fun, but you need to stay safe. Prepare yourself properly and you can enjoy your time outdoors. Are you ready to start your fitness journey? Fill out this quick form and I’ll get back to you to see how I can help you reach your goals! Have you noticed that sometimes there is a tension between doing what we perceive as good for us now, and caring for our health in the long term? Of course, this tension is usually because we want specific results right away. However, the truth this that real, long-term, sustainable health doesn’t work on quick fixes. 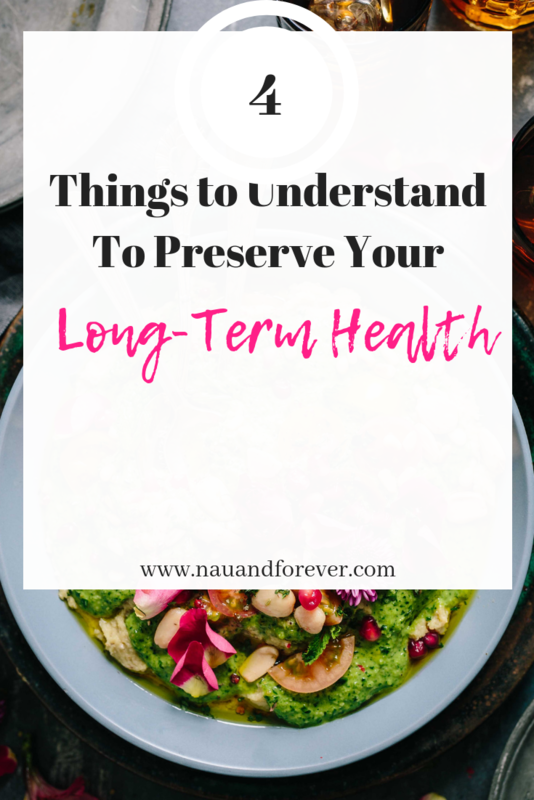 Check out four things you need to understand to preserve your long-term health. Yes, if something seems too good to be true like a juice cleanse, or a strict diet, it usually is. It may well work for a week or so, but it’s also important to consider the long-term effect of these types of things on our bodies and health too. I know that slow and steady can seem painfully drawn out at times, but do you really want to sacrifice good health later on, for quick results now? To that end, be sure stay clear of quick fixes like diet pills, limited diets, and even working out too intensely, because you may just end up doing more harm than good. Some folks take pride in training through their injuries. It’s like a badge of honor to them, but what damage are they doing to their long-term health? Well, probably quite a lot, as pain from an injury is the body’s way of telling you that there is a problem, and you need to stop, rest, and recuperate. In fact, it’s hugely important to deal with injuries sooner rather than later, because left untreated they can develop into a much more severe and long-term problem. A problem that could disrupt your regular exercise routine, and so your long-term health. Of course, getting treatment can be expensive, and that is why if you have a problem from a situation that wasn’t your fault it’s crucial to speak to an injury lawyer about compensation. After all, you shouldn’t have to pay for treatment out of your own pocket when you have done nothing wrong! Another tactic that can help you to improve your health in the long term is to learn about how to fuel your body correctly. Yes, all food has calories in it, but some foods are much more nutritionally dense and contain essentials like water and fiber as well. Therefore it’s crucial that you educate yourself on nutrition, and what your body needs to operate at an optimum level. Lastly, it can be very easy for those of us that are into health and fitness to believe we need to be on the go all of the time. However, it is also important that we rest as well. After all, rest is vital in allowing the body and muscles to repair themselves after a vigorous workout. Also, don’t forget that our minds need to rest as well. Therefore ensuring that you have at least one rest day over a weekly period can help you switch off from requiring to self-motivate all of the time, something that can be very beneficial, for your long-term health too. For more tips and advice on healthy living, check out this post! There are plenty of reasons why we might struggle to sleep at night. 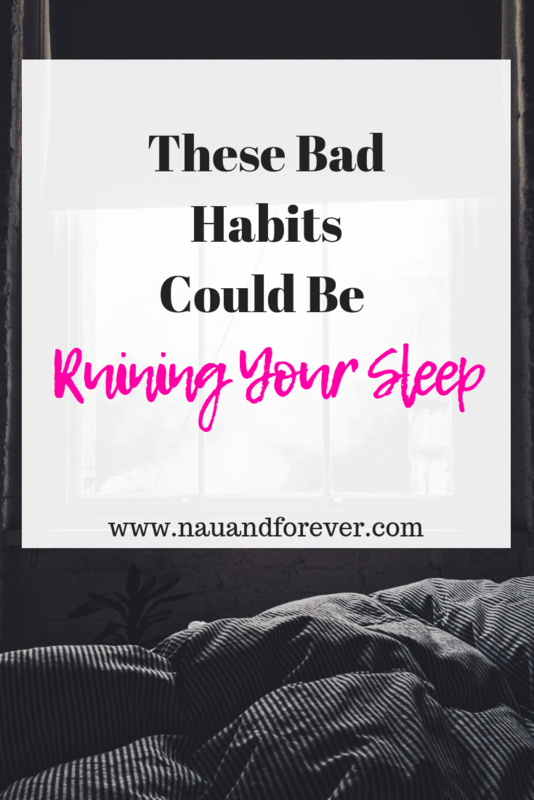 Some are simply bad habits that can ruin sleep, while others are things that are more circumstantial. The stresses and worries of the day may weigh heavily on our minds, causing us to lie awake fretting over them. Journalling these things before we go to bed may release us of those thoughts before we turn the light outs. We may be suffering from an acute health problem, perhaps with aches, pains, and difficulty breathing. If this is the case for you, talk to your doctor. You may need medication to help you sleep better. Our mattress may not be fit for purpose. It could be uncomfortable to sleep on, or it might trigger an allergy. Replacing it with a non-toxic mattress may be the answer. However, there are also bad habits that we can fall into, and these may be responsible for damaging our sleep patterns. You probably know that caffeine can keep you awake at night, so you may have already replaced it with something else as your night-time drink. However, experts suggest we should stop drinking caffeine after 2 pm, as it can remain in our system for up to 10 hours. A glass of wine will help you to fall asleep, but experts suggest any kind of alcohol can disrupt our sleep during the night. It causes us to wake earlier than we should. The cutoff point for alcohol should be between 2-3 hours before you go to bed. Scrolling through your Facebook feed on your phone before you hit the pillow will not help your sleep pattern. And neither will using any kind of device: your TV, laptop or tablet. Experts have found the blue light emitting from screened devices can disrupt our sleep hormones making it difficult for us to nod off. Turn off your screens an hour before bed, and sit in bed with a book instead of your smartphone. The occasional afternoon nap is fine, especially if your body needs it. But don’t let it become a regular thing. The reason why you’re napping in the first place is probably that you haven’t had enough sleep at night. And if you nap too often, you are going to feel less tired at night. Getting your sleep pattern back into form is your priority, so if you do start to feel tired in the day, perhaps engage in exercise out in the fresh air to energize your system. Have you ever found yourself standing in front of the fridge at night eating cold pizza or leftover pie? Certain foods will negatively affect your sleeping patterns, such as pasta, pizza, and the examples given here. If you do feel hunger pangs before bedtime, eat foods which sleep-inducing melatonin, such as a banana, a bowl of oats, or a spoonful of honey. So, if you have been struggling to sleep, consider whether your bad habits are the problem. If so, cut them out, and get into better habits to help you get all the beauty sleep you need at night. When you’re aware of the habits that can ruin sleep, you can make more of an effort to replace them. Want more tips on healthy living? Be sure to check out this post for more tips! Last week, I shared a photo of myself on social media. Big deal, right? Well, this one was probably the rawest and most unfiltered photo that I’ve ever shared. (See it here on Facebook and Instagram). I shared a picture of my real, unflexed belly. The belly that has been the home to 3 babies in 3 years (a twin pregnancy and a singleton). 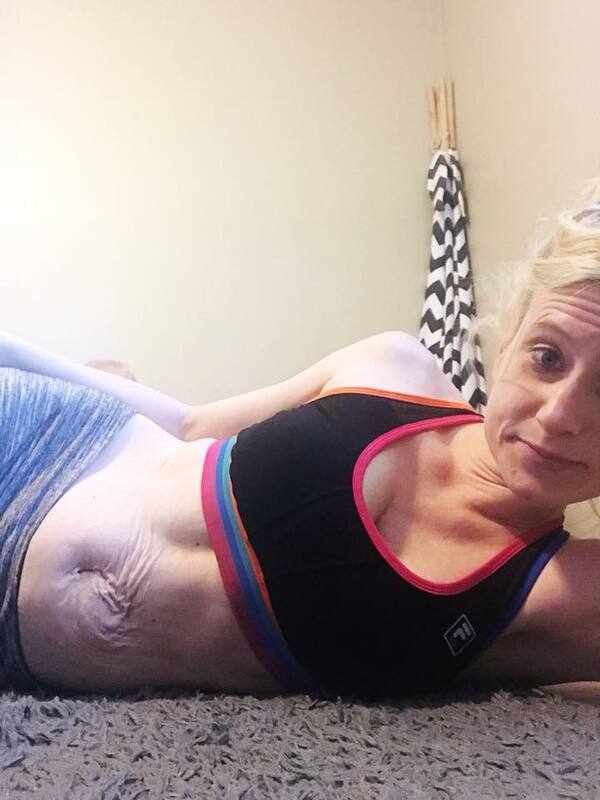 I had back to back C-sections that left me with the extra skin and stretch marks than many women have. This led me to want to start the conversation about “body confidence postpartum”. I realized that if I want to continue to reach and empower women to become more confident and love themselves for the badasses they are, I have to be more vulnerable. More authentic. More transparent. This is a conversation that we have to have. Period. Four in five women have low self-esteem. Four in five! That breaks my heart. I used to be one of those women. I know what it’s like to not love yourself or respect yourself. I know what it’s like to cry in front of the closet. Feeling so self-conscious and the opposite of beautiful. My friends would try and talk me out of the funk, but it was really pointless. I wouldn’t listen. I would try on outfit after outfit and feeling worse after each wardrobe change. In 2014, I found out I was pregnant with twin girls. GIRLS! That was pretty terrifying for me. I was so nervous about raising girls. How could I do that? I thought about what I wanted for them. I want all of my girls to be confident, strong women. I want them to go out and grab the world and do whatever they want. I don’t want them crying in front of the mirror or closet. I don’t want them feeling unworthy or ugly. But, how do I teach them confidence? It starts with me. It starts with their mother loving herself. They have to see that and truly believe it. If I treat myself poorly, they will learn that it’s okay. I picture them saying negative things about themselves and it breaks my heart. So…I decided to be the` change. Start treating myself the way they deserve to be treated. I ask myself, “would I want my daughter saying or feeling this way?” If the answer is “HELL, NO!”, then I change my thoughts. You can’t take a magic pill and wake up feeling like Beyonce. Trust me. I Googled it. BUT you can learn some tricks that will teach you to become more confident over time. I’m sorry to tell you though…it takes WORK! Conscious work. But, hey, it’s SO WORTH IT! I PROMISE! I had to first recognize and accept that I am in control of my feelings. Not my husband. Not my neighbor. Not the guy cut me off in traffic. ME! For some people, that’s not what they want to hear. For me, it was actually pretty empowering. Me? I have control? I can’t make the difference? Heck yes! After you recognize and accept that, you have to start paying attention to your thoughts and feelings. Your thoughts create your feelings. Your feelings create your actions. Your actions (or inactions) create your results. Before, I would just go with this and believe it to be true always. 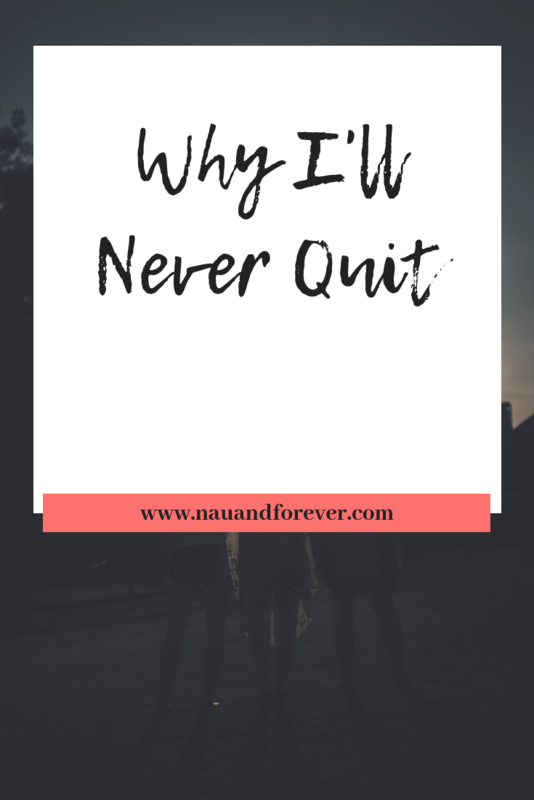 “Well, if I quit the last 5 times, why would this time be any different?” Now, knowing what I now know, I would ask myself “how I want to feel about starting that fitness program”. I want to feel motivated, strong, inspired to go for it. Then I ask myself what I have to think to feel motivated, strong and inspired. — I can think that I’m already strong. I can think about how great it will be too have more energy. I can think about inspiring my daughters by seeing me doing something that makes me feel good. Again, this isn’t an overnight change. I still run into times when I’m feeling less than, but now I have the tools to work through it. I have an incredible life/business coach that can help me navigate too. If I can do this, so can you. I have vowed to pay it forward so other women who are struggling with feeling unworthy can find their confidence. 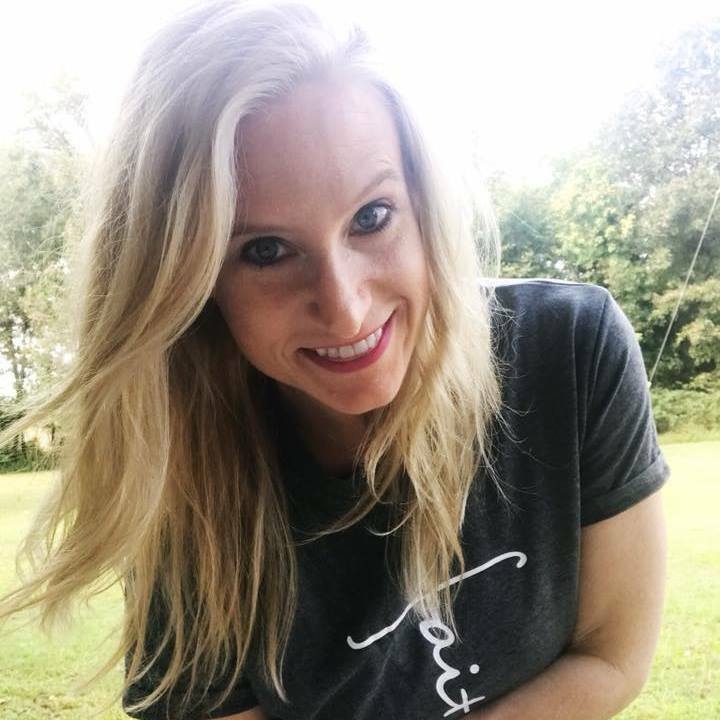 I want to help other women find their worth within themselves and provide them with the tools they need to stop hiding and start showing up in life in any way they wish. I’m not saying you have to throw pictures of yourself on Facebook without a shirt on, but I want you to feel confident and beautiful and know you can totally do that if you want! Learning these tools have helped with dealing with my body confidence postpartum. It’s helped my not just become confident in how I look but confident in who I am as a wife, mother, daughter, friend, etc. Maybe you’ve never heard of the term “mindset coach” or maybe you have and have wondered “Is this for me?” It absolutely could be a great thing for you. Having someone that I can work through things with and will hold me accountable has been a game changer in my life. If you would like to learn more about what I do and to see if we would be a good match, fill out this quick form and I will get in touch with you. I would love to help you! And if you want to join my free Facebook Group that’s all about feeling empowered (mind and body), join us here! When you have the drive and passion to succeed, your targets will be limitless. Forget about the ceiling because you want the stars and the moon and the entire universe. One problem with this mentality is the instant success – you might not have any. 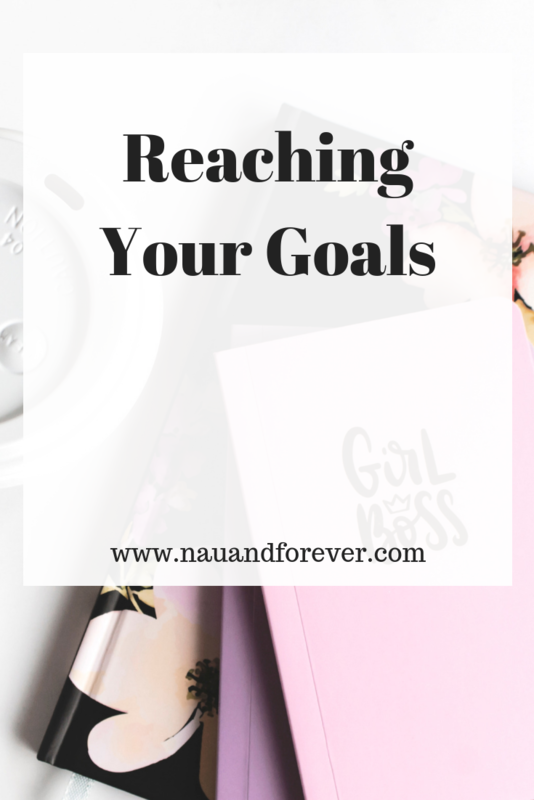 As a result, it’s easy to think you’re miles behind the targets you’ve set to propel your career first. And, this leads people to take drastic measures to get back on track. Reaching your goals (and the moon and stars) is your prerogative, but it’s important not to forget a few basic things on your journey. “I want to be the youngest billionaire that’s ever lived.” This is the thought running through your mind and it’s ruining your chances of ever reaching the nine zeros mark. Why? It’s because of the pressure of the deadline. Mark Zuckerberg and Gustav Magnar Witzøe did it in their early twenties – how old are you? If you’re before or passed that number, there’s no reason to let it dictate your decision making. The big picture is to reach the milestone at any point in your life, not by the time you’re 24. In the meantime, act rationally, learn, and play the long game. No one is going to throw a couple of million bucks in your lap and say “here you go.” Instead, the world is going to make it tough to find the capital to fund your dreams. Still, there is nothing worse than making excuses and admitting defeat without trying. So, entrepreneurs who are desperate to emulate Warren Buffett need to check out homes for sale and the stock market and take the plunge. Only when you make the first step of a long journey will it start. Know that you’re in charge of your dreams and only you can make them happen. The idea of a stellar career in finance or technology or any field is high on the list, but how high? What are you willing to give up to get to the top? People don’t see it, yet Bezos and Gates and Spiegel had to put their job before their family. It takes a lot of hard work to keep a relationship going when the people you love aren’t #1. And, that’s just one aspect. Young people might want to travel or party or generally have fun. If the latter is more important than making a fortune, then it’s time to reassess your goals. What are you willing to sacrifice in the short term to reach your long term goals? Numbers count for a lot, especially in this day and age, but they aren’t everything. To reach the top, it’s important to be a people person who can get others on board. Otherwise, you’ll be vulnerable and no one will have you back. This is an essential piece of info to factor in because not all career-driven men and women are charming. Lots are socially awkward. Those who fall into the latter category have to work hard to the backing and respect of their peers. This sort of mindset is how to reach your goals or rearrange them into something achievable. If you have goals that you want to accomplish, but need accountability to stay on track, you should consider getting a coach. I’d love to chat with you about becoming your accountability coach. Today, I had one of those moments. Kind of like a gut punch moment that ended in tears. Tears that I just didn’t expect. And of course, they keep coming as a write this. When you find your purpose, you want to spread it immediately with such excitement and fearlessness. Sometimes, I think that can be misconstrued. Let me be clear, my mission in this life has never changed. Ever. It has narrowed down and become more specific but it has never changed. My goal is to help women and girls love themselves. I want you to know that you’re freaking worthy and beautiful. I want you to know that you deserve to feel your best. When I became a mom, I knew immediately that God gave me these girls to love, support and empower. All the struggles from my past were put there to help we lead a new generation to truly know their worth. How do I believe we find that worth and confidence? Through things that make us feel good. Through creating the life we want. Through finding movement that we enjoy. Through finding foods that make us feel good. Through finding a balance that lets us enjoy all the things. Through loving ourselves as we are but knowing it’s okay to want to improve. I KNOW without a doubt that I can help other women. I’ve been doing it and will continue to. I can’t help all the women and girls, but with The Empowered Life Initiative, I can envision the ripple effect that it will have. I’m so damn tired of seeing women and young girls struggle with themselves. It pisses me off because I know what it’s like and I know that with work, you can become stronger. But you have to want it. No one can do it for you. But I can walk with you. Coach you. Encourage you. Cheer you on. Love on you. And give you tough love when you need it. If you’re ready to find your confidence and balance, let’s work together and make that happen. Fill out this quick form or email me at laura@nauandforever.com. Bad habits are just a fact of life and we all have them to a certain degree. Whether it’s sticking to the couch like glue after a long day of work, eating too much sugar, or finding it impossible quit smoking – most of us are constantly looking for ways to improve ourselves. 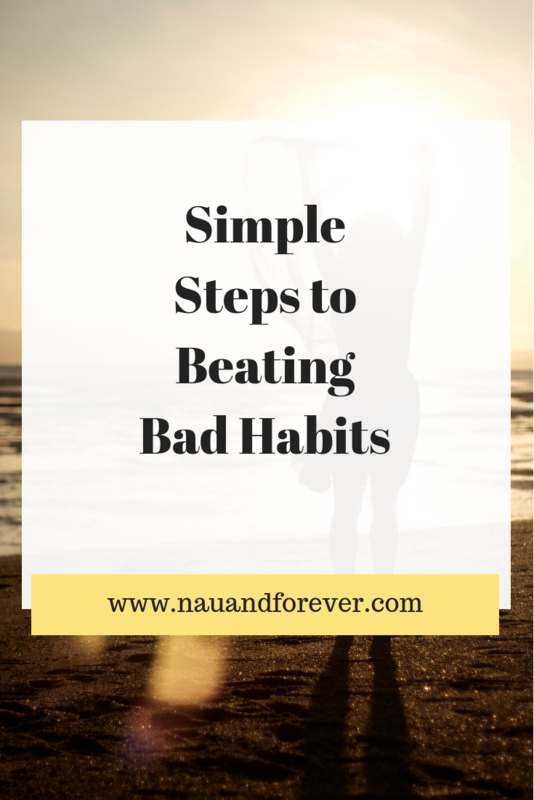 Beating bad habits is a desire of many. Luckily, quitting those bad habits doesn’t have to be too difficult, though, at least not when you have a foolproof plan to follow. Start by having a look at the simple steps below to improve your life and continue to build healthier habits. That way, you can pass the message on to your friends and family members who are looking for ways out of their own guilty pleasures. When you understand the core of your habits, it’s actually not that hard to put your plan into action. At the end of the day, we tend to make a habit out of something because it feels good; it could be going to the gym, for example, because it feels so great afterward or lighting up that cigarette because of the rush you feel. No matter what, you tend to continue this behavior to feel the reward of it. That’s why it’s not going to be easy to quit when you don’t have anything to replace it with – and most people report on eating more when they stop a bad habit because they’re subconsciously looking to replace that feeling of being rewarded. Every time you feel like overeating (if that’s the bad habit you’re trying to get rid of), try to have a glass of water. Sometimes, we confuse hunger with thirst. Want to stop smoking? Get yourself a vape and some vape juice as a stepping-stone to a healthier life. It won’t be everything you need but it will help you a bit along the way. And one day, you won’t even want that! The next tip goes hand-in-hand with the reward system explained above. When you want to quit a bad habit, you’re going to have to remind yourself about why exactly you’d like to quit. Sometimes, you’re going to need a reminder about why you’re doing this – and those moments may come a bit more often than you anticipated. It’s all about delayed gratification, of course, and while you may know very well why you’d like to lose weight or stop smoking, the future rewards are just not enough at the moment. Write a list, for example, of all the benefits you can look forward to, and have a look at it when you desperately need a reminder. Lastly, it’s important to tell yourself that it’s not the end of the world if you should stumble. Quitting a bad habit is very difficult. Even when you stumble, give yourself grace. Get back up and try again. Be kind to yourself and remember that you’re not starting over again even when you stumble. Just continue with a positive spirit the next day, and you’ll be able to leave your bad habit behind soon enough. Want more tips on living a healthy lifestyle? 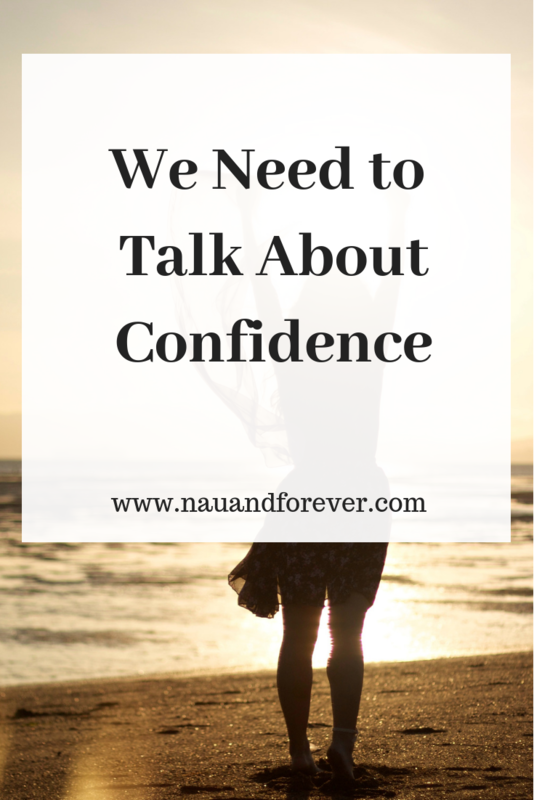 Are you ready to find your confidence and a balanced life you can love? Fill out this quick form, and I will message you about The Empowered Life Initiative!